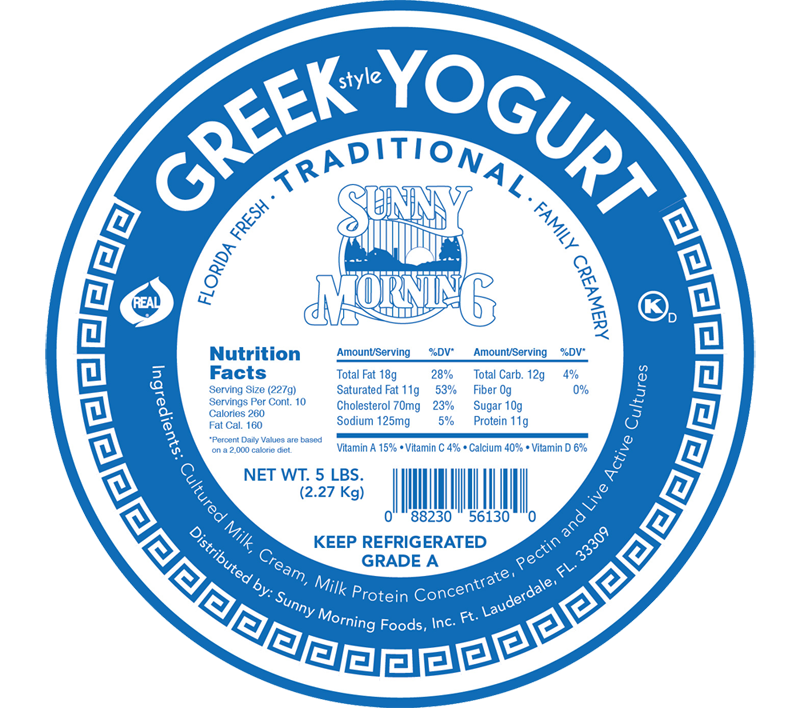 Sunny Morning Greek-Style Yogurt is produced locally by a family owned and operated Florida creamery. 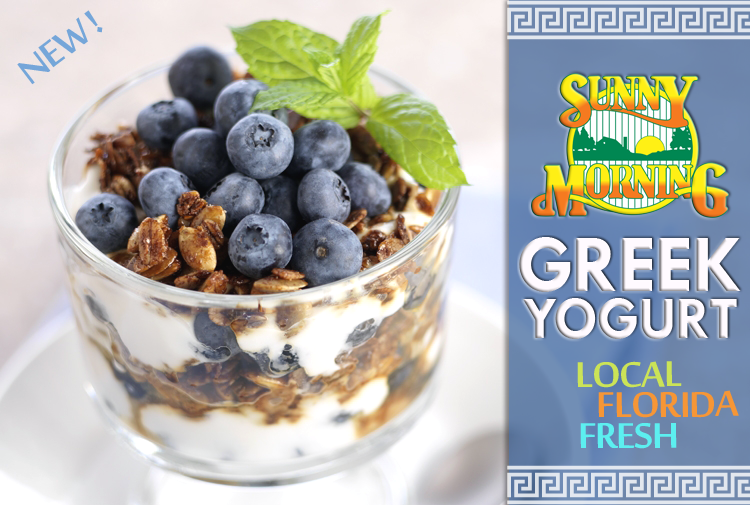 Did you know that Greek Yogurt can be added or substituted for many common ingredients to add protein and richness to your favorite recipes? 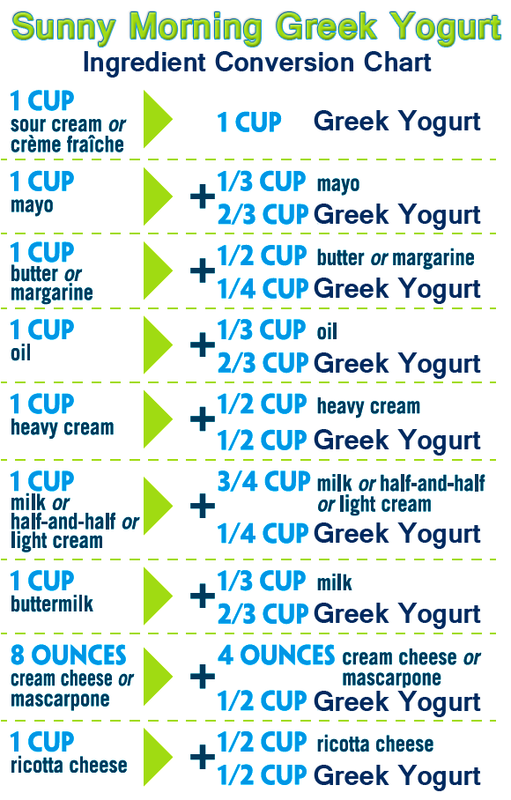 Check out the conversion chart below for more information on how to incorporate Greek Yogurt into your favorite dishes. Soften gelatin in 3 tbsp water, about 5 minutes. Bring the cream, sugar and vanilla seeds to a simmer in a small sauce pan until the sugar dissolves. Remove from heat and mix in the gelatin. 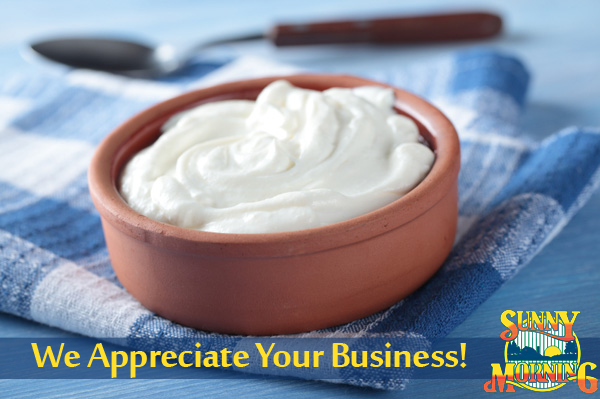 Whisk the yogurt in a bowl until smooth. Whisk the cream into the yogurt. 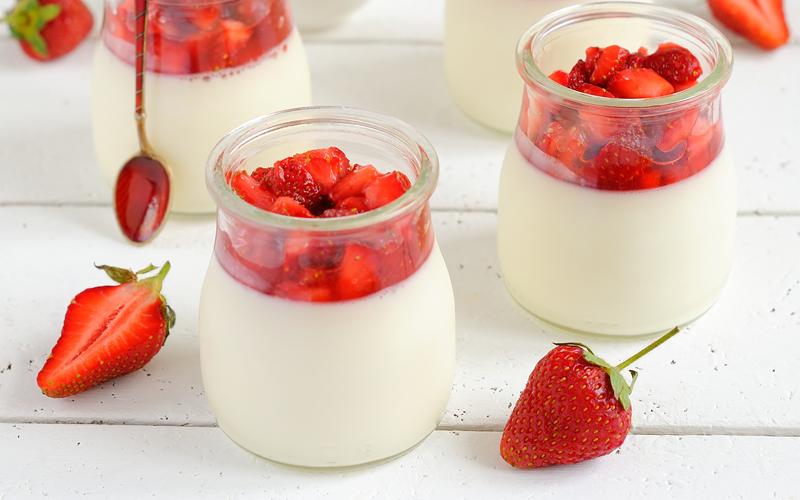 Pour the mixture into ramekins and chill in the fridge for at least 3 hours. Top with your choice of fruit topping like the homemade strawberry jam pictured above and chill for 2 more hours. 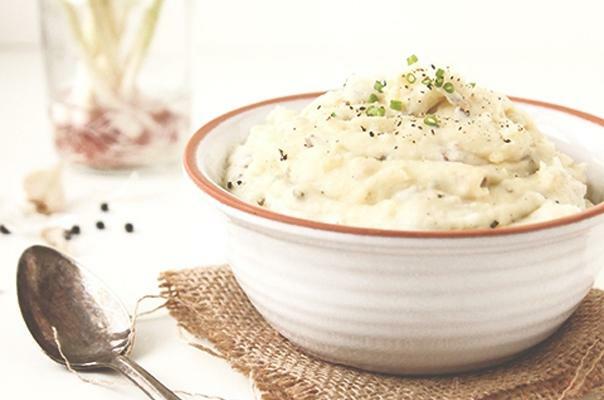 Place the potatoes and 1/2 teaspoon salt in a large pot with water and bring to a boil, then reduce heat to medium-low and then simmer for 10-15 minutes. While the potatoes are boiling, heat a skillet over medium heat. Add the butter, and after it is just melted, stir in the garlic. Stirring frequently, cook the garlic for about 2 minutes, or until soft and light golden. Remove from heat and set aside. Drain and pour the potatoes into a large bowl. Add the garlic/butter mixture to the potatoes. Mash to break down the large pieces of potato. Stir in the Greek yogurt, remaining 1/2 teaspoon salt, and black pepper. Stir the chives into the potatoes and then place in a serving dish and serve warm.